What is a school based Apprenticeship/Traineeship (SBAT)? School Based Apprenticeships and Traineeships are a positive step towards an exciting and rewarding career. The program offers students the opportunity to incorporate a VET Certificate II Qualification with their VCE or VCAL studies. Students can work and earn a salary while learning key skills on-the-job. The SBAT program will provide students with knowledge and skills that will enhance their employment prospects in their chosen career. Every student must submit a professional application to be considered for this program. A cover letter and resume provides students the opportunity to present themselves as to why they believe they are most suited for the program. Students will gain valuable employability skills going through this application process. This process will assist AGA in selecting the most suitable students for our host employers. A cover letter will emphasise, highlight and build on information presented in their resume. The VET Automotive program will provide students with the knowledge and skills that will enhance their employment prospects and is an ideal pathway into a full time Automotive Apprenticeship. Upon successful completion of the SBAT program students obtain a Certificate II Automotive qualification. 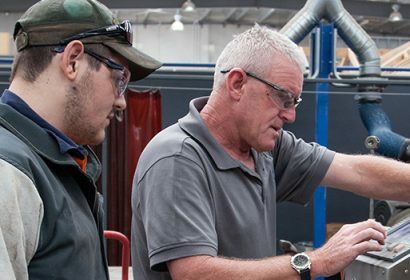 The Construction Pathways program will provide students with the knowledge and skills that will enhance their employment prospects and is an ideal pathway into a full time Apprenticeship. Upon successful completion of the SBAT program students obtain a Certificate II Construction Pathways qualification. The VET Business will provide students with the knowledge and skills that will enhance their employment prospects within the administrative field. Upon successful completion of the SBAT program students obtain a Certificate II Business qualification. The VET Community Services program will provide students with the knowledge and skills that will enhance their employment prospects in the community services sector. Upon successful completion of the SBAT program students obtain a Certificate II Community Services.